The project establishes an architecture of the River, defining and invoking its physical qualities and cultural legacy through an integrated approach to architecture, landscape and exhibit environments. 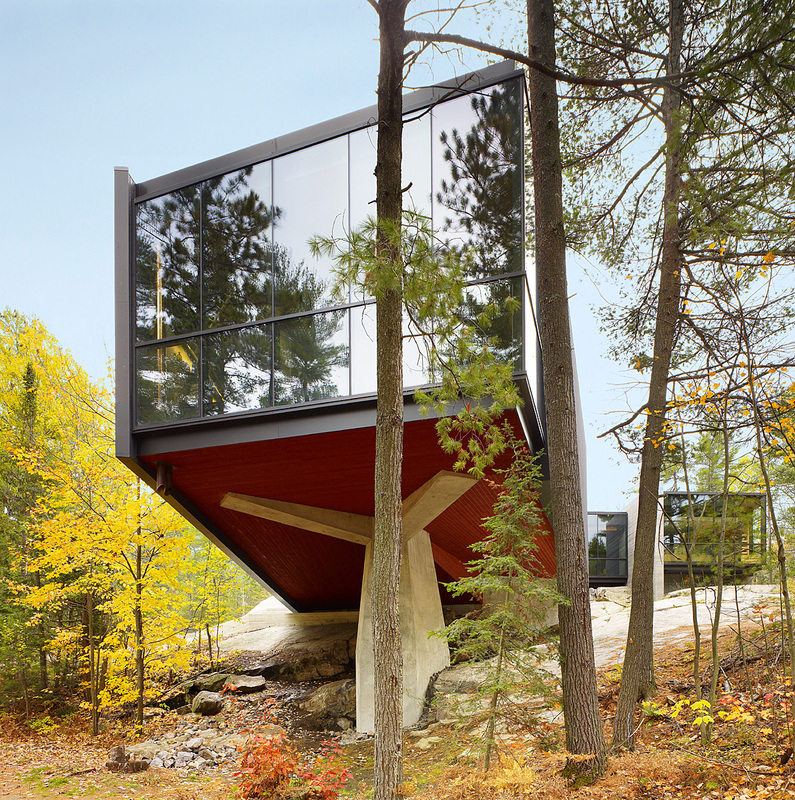 Moving beyond the role of container, the project embraces its condition as a place of passage, and is itself an expedition; through its siting, organization, views and exhibition, and as a responsible construction in nature. 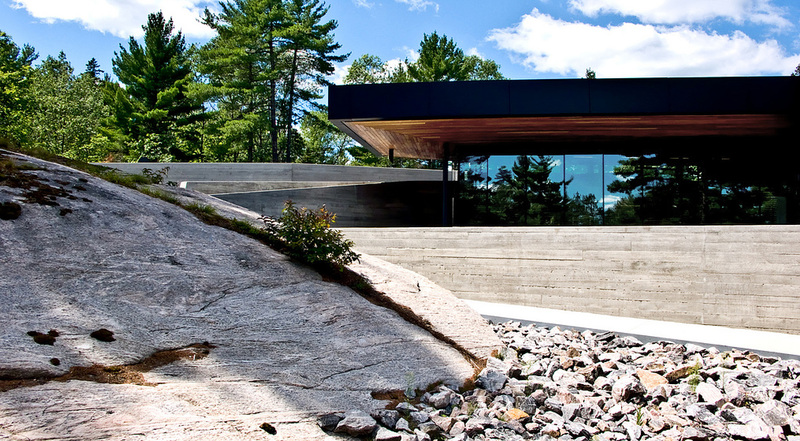 Flowing across an archetypal landscape of rock and water, visitor experience is organized along a continuously inclined topography of found and constructed elements that establish an interpretive and spatial armature for the project, which interprets the River’s descent from its headwaters at Lake Nippissing to its delta at Georgian Bay. "A unique project amongst the submissions, the language and spatial distribution of this project is anything but neutral. 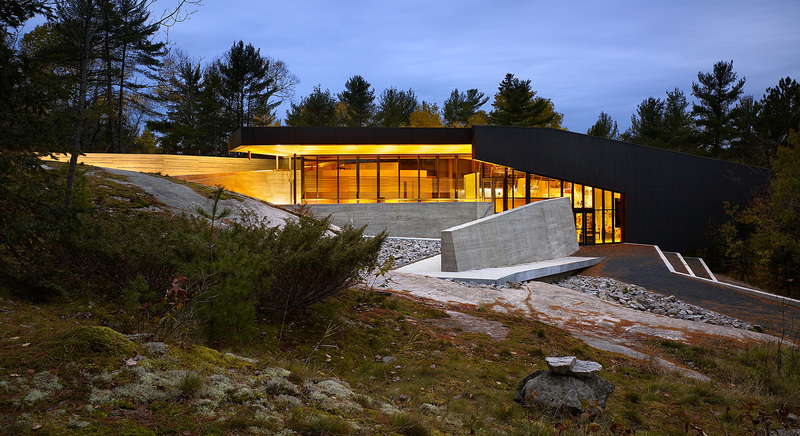 The project finds a material palette that engages the Canadian mythology with respect to its land – the topography, the forest, and the vernacular craft associated with its built history, but transforms that narrative with a difficult negotiation between abstraction and figuration. At the end, the project situates itself into nature with deliberate self-consciousness, but sidesteps the clichés and landmines that await that yearning." 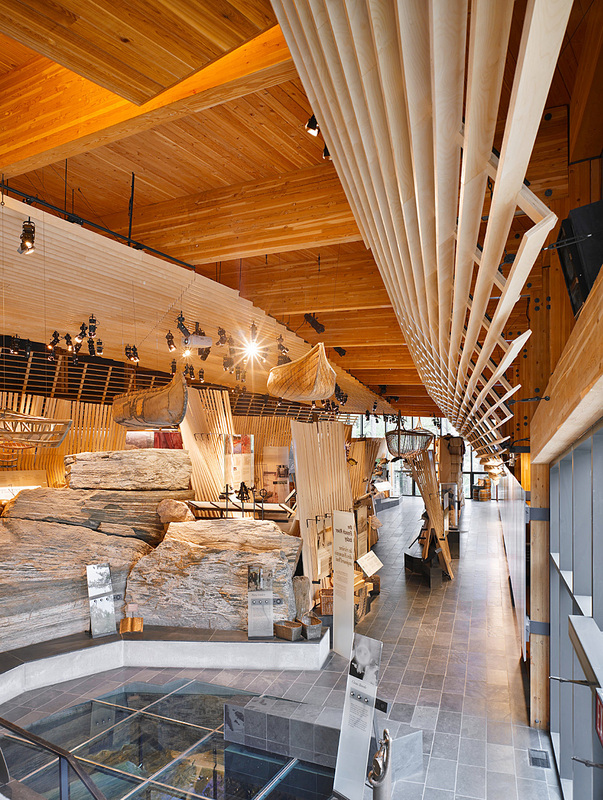 "The three terraces: entrance, education and happening, articulate the very direct insertion of the project within the rocky profile that overhangs the landscape, memory of the explorers and inspiration for the Group of Seven artists. This is a vigorous project. 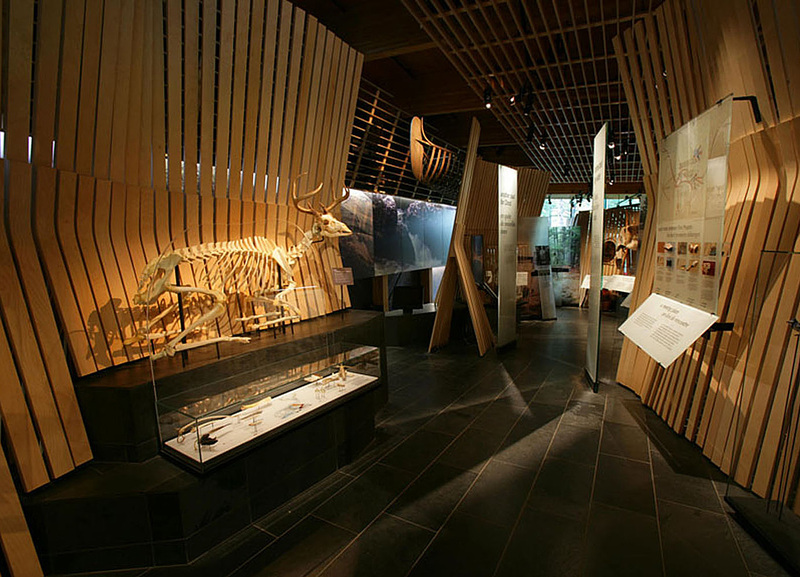 It rejects the picturesque and ties together nature, the wild spirit of the place and the elements of a surprising and very inspiring construction which ends up merging with the original landscape."